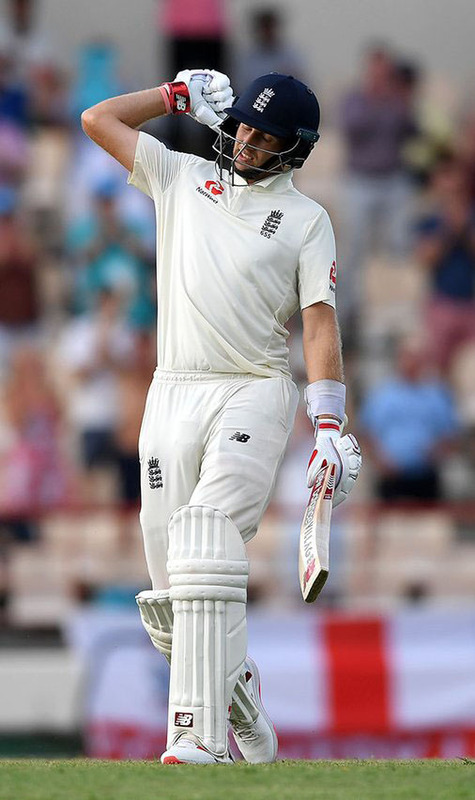 England captain Joe Root led from the front carving out his 16th test ton to put his team in a virtually impregnable position at yesterday’s close of play. 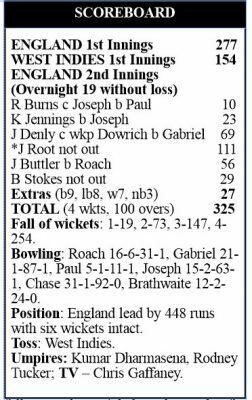 GROS ISLET, St Lucia, CMC – Captain Joe Root’s 16th Test hundred helped starve West Indies of meaningful success as England extended their lead to well over 400, to take a stranglehold on the final Test at the Darren Sammy National Stadium here yesterday. 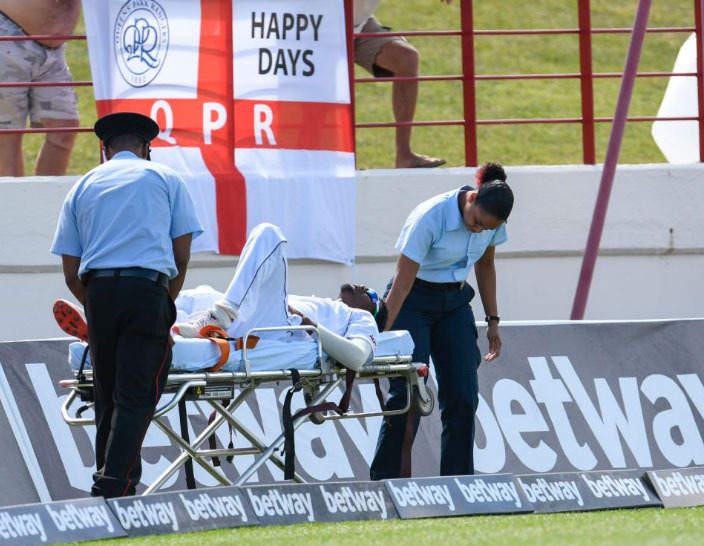 West Indies all-rounder Keemo Paul, who took a wicket with his first ball yesterday, is stretchered off the field after tearing his quadriceps. Tragically, Paul was stretchered off soon afterwards after tearing his right quadriceps, while chasing a ball in the outfield. Team officials said he would not bowl or field again in the match.